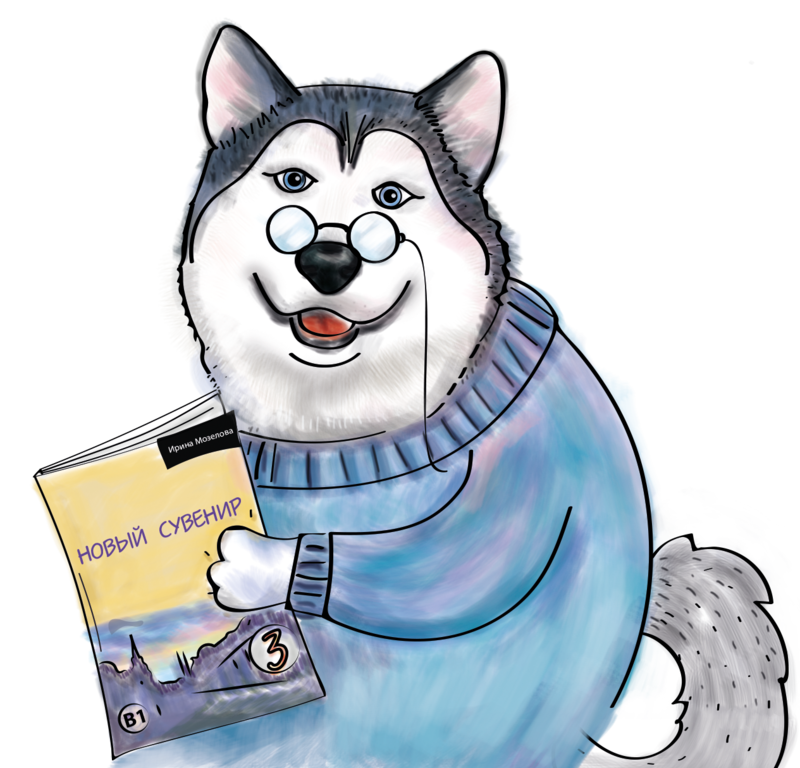 In this lesson I am going to tell you about the most important verb of motion “идти” (to go) and what happens to it if we add prefixes. 1. Вы сейчас выходите? – Are you going out? 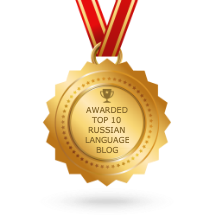 (Russians use this phrase in any public transport or in an elevator if they want to exit but there is someone on their way). 2. Добро пожаловать! Проходите! – Welcome! Come in (through)! 3. Нам надо перейти улицу – We need to cross the street. 4. Я обошла (fem.) весь магазин, и я не нашла туфли, которые хочу – I went all around the store and I didn’t find the shoes I want. 5. Не подходи ко мне! – Stay away from me! 6. Я забыла телефон у тебя дома. Когда я пойду на работу я зайду к тебе за ним. – I forgot my phone at your house. When I go to work I’ll come to you for it. 7. Уважаемые туристы, мы подошли к музею. Сейчас мы войдём в музей. Я хочу попросить вас выключить телефоны. – Dear tourists we came to the museum. We are going to get in and I want to ask you to turn your phones off . 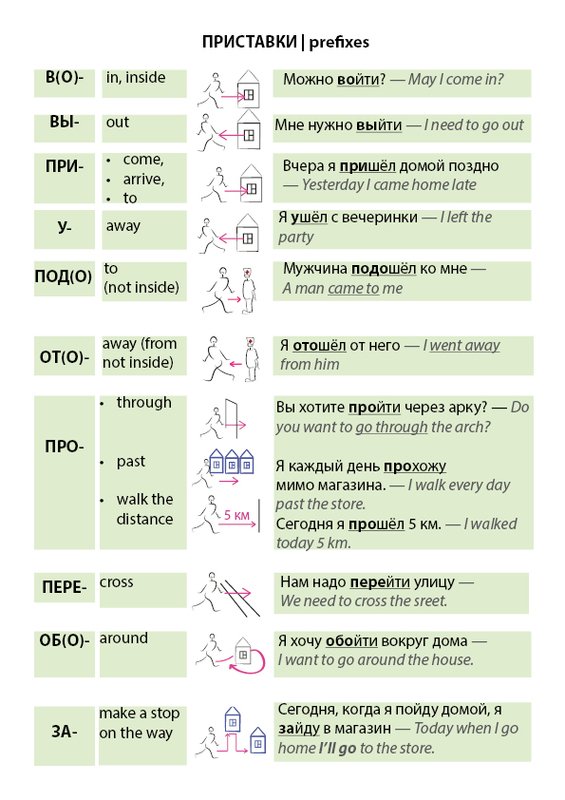 If you want to practice the verbs of motion with preffixes, I recommend you see the video and draw the route on a map you hear. This is a little excursion in Moscow center.